This week, we look at a small two-ship cruise line that has managed to sell out its 2012 winter program, half of which are cruises going north of the Arctic Circle in February and March! Cruise & Maritime Voyages has been making good progress since it was formed in 2009 as the cruise-operating arm of Cruise & Maritime Services. The line carried 36,000 cruise passengers in 2010 and will carry another 44,000 this year. Elsewhere, we examine Portsmouth and Tilbury, two of the UK’s second tier cruise ports. 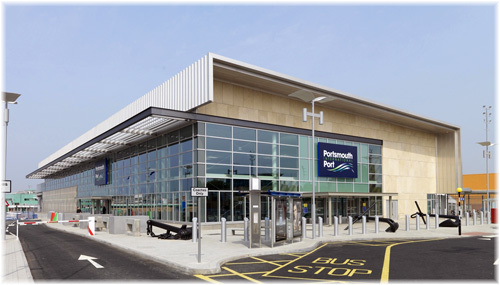 Portsmouth opened a new dedicated passenger terminal this May while Tilbury operates the London Cruise Terminal, a facility that dates to 1930 but was converted to cruise ship handling in 1995. Celebrating two successful years and a sold-out 2012 winter season, Dartford-based two-ship cruise operator Cruise & Maritime Voyages last week invited the travel trade to this season’s first Christmas dinner and show and a night on board its Marco Polo at Tilbury. Cruise & Maritime Voyages was formed in 2009 as a the UK’s latest independently-owned cruise ship operator, initially to take over a five-year charter on the 820-berth Marco Polo that had been previously been held by Transocean Tours. 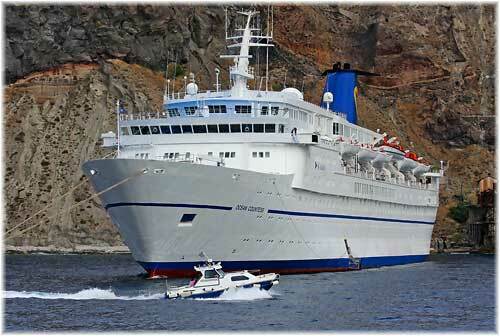 The 780-berth Ocean Countess was then chartered to become the line’s second ship in 2010. Parent company Cruise & Maritime Services International Ltd opened as Cruise & Maritime Services in 1997, but as acted as an agent rather than an operator at first to represent Louis Cruises and then Transocean Tours in the UK market. Its senior directors had previously managed the UK-based CTC Cruises, and when that line closed set up on their own. Today the line employs forty-two head office staff to manage its two-ship fleet. Cruise & Maritime Voyages’ stated aim is to provide “ex-UK no fly cruising holidays aboard smaller and medium sized classic and more traditional style ships” and it has successfully carried 80,000 cruise passengers in its first two years, gaining high satisfaction ratings in the meantime. So commercial director Christopher Coates took the opportunity last Thursday to thank the trade for its support over its first two full seasons. In what might seem a surprise to some, Cruise & Maritime has sold out its entire winter program of six cruises on Marco Polo, including a 3-night Christmas markets cruise, a 14-night Christmas & New Year Canaries cruise and a 42-night Amazon cruise with calls at Santarem, Boca da Valeria, Manaus (overnight), Parintins, Alter do Chao, Alemeirim and Santana. But an even bigger surprise is the sell-out of three winter cruises from Tilbury going north of the Arctic Circle in February and March! These 14-night Land of the Northern Lights cruises, which depart from Tilbury on February 14 and 28 and March 14, have obviously struck a chord. They include calls at Amsterdam, Alesund, Vesteralen, Narvik, Alta (overnight), Tromso, Andalsnes and Bergen. This trio of cruises, which follows a similar series earlier this year, offers opportunities to go dog sledding in Tromso and to take the Ofoten Railway in Narvik. But who would have thought a cruise line could successfully sell out cruises above the Arctic Circle in wintertime? While the Marco Polo is based mainly at Tilbury, the line’s second ship, the Ocean Countess, operates between April and October from northern UK ports, with eleven cruises scheduled from Liverpool, nine from Hull and five from Greenock in 2012. This is supplemented by the Marco Polo, which offers four cruises each from Newcastle and Edinburgh (Leith) in May and June. 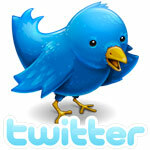 The two ships between them will offer more than sixty ex-UK no-fly cruises in 2012. Last month Portsmouth International port hosted the Leading Cruise Agents of the UK at an all-day session that included a tour of its new £16.5 million cruise and ferry terminal, which was opened this May by UK business secretary Vince Cable. The new cruise terminal is just sixteen miles, or 25 kilometres, east of Southampton on the Solent. Portsmouth International Port has booked thirty-one cruise ship visits for 2011, and has thirty-eight booked so far for 2012. This could exceed forty before the year is out but booked so far (with number of cruises in brackets) are Swan Hellenic’s Minerva (7), Fred. Olsen’s Boudicca (6), Noble Caledonia’s Island Sky and Caledonian Sky (5), Voyages of Discovery’s Discovery and Voyager (4), Hapag-Lloyd’s Columbus 2 and Bremen (3), Classic International’s Athena and Princess Daphne (3), Star Flyer (2), Plantours’ Hamburg (2), G Expeditions’ Expedition (2) and single calls by Lindblad’s National Geographic Explorer, Silversea’s Silver Explorer and Cruise & Maritime Voyages Marco Polo. Hebridean Island Cruises, Hurtigruten, Sea Cloud and Transocean Tours have also been Portsmouth cruise customers. The city’s maritime heritage is also a major pull for cruise operators. The LCA group visited the Historic Dockyard, HMS Victory and Gunwharf Quays and were given an overview of the other attractions that might tempt cruise passengers to stop off in Portsmouth pre- or post-cruise. One local hotel, the Marriott Portsmouth, offers a cruise package for £120 per couple that includes a large double room the night before embarkation, breakfast, transfers to and from the ship and free parking for up to 21 nights. One cruise from Portsmouth has sold out six months before departure, suggesting a successful 2012 cruise season. The Discovery, operated by All Leisure’s Voyages of Discovery, has no space left for its “Heritage of the British Isles” cruise departing Portsmouth May 26 for a journey that will include palaces, castles, cathedrals, gardens and historic landscapes in England, Ireland and Scotland. The British heritage-themed cruise, timed to coincide with the Queen’s Diamond Jubilee, will see Discovery anchor off Greenwich for the celebrations that mark the 60-year reign of Queen Elizabeth. In addition to cruise passengers, Portsmouth will handle some 2.2 million ferry passengers through the new terminal for Brittany Ferries, serving Caen, Cherbourg and St Malo in France and Bilbao and Santander Spain, LD Lines, serving Le Havre, and Condor Ferries, serving Guernsey, Jersey and Cherbourg. Visiting the cruise terminal at Tilbury last week was also a reminder that while Southampton and Dover have boomed and Harwich and Portsmouth have been able to build a cruise business on top of a night boat infrastructure, London still has a long-standing cruise terminal facility that goes back to ocean liner days. 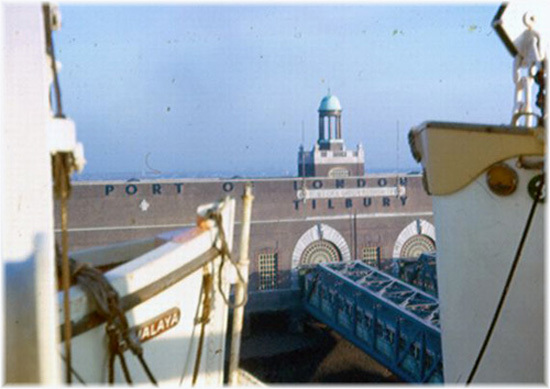 The Tilbury Landing Stage, as it is still called in local transport timetables, now operates as the London Cruise Terminal. As well as hosting the ferry to Gravesend that dates back to 1571, Tilbury will support thirty-seven departures by Cruise & Maritime Voyages’ Marco Polo this year, as well as calls by Holland America Line and others. The Tilbury Landing Stage was opened in 1930 by Prime Minister Ramsay MacDonald to accommodate the larger ships that wanted to serve London. A 350-metre floating structure, connected to landside by bridges, it is similar to that at Liverpool and was opened as a joint venture between the Port of London Authority and the London, Midland and Scottish Railway, whose rail lines came right alongside. In the 1930s, in addition to its services at Southampton and Liverpool, Cunard Line served London through this facility and it was also the base for P&O’s services to Australia and the Far East, as well as serving several other lines. Post-war, one of the more celebrated callers at Tilbury was the Empire Windrush, which in June 1948 brought the first large group of West Indian immigrants, 493 passengers from Jamaica, who had arrived to supplement the British work force. The ship had actually been on a voyage from Australia to Britain when cheap passages were advertised in Jamaica for the remaining berths. Among those booking were three Calypso musicians. In the 1960s, Tilbury handed the Transatlantic services offered by Polish Ocean Lines and the Baltic Shipping Company, and in the 1970s, when the Soviet Union sought to earn hard currency by selling cruises to westerners, it became the main base of operations for CTC Cruises. Successful for many years in selling budget cruises in the UK market, CTC went out of business in 1997, after the fall of the Berlin Wall and the eventual closure of many of the former Soviet Union passenger shipping lines. Although the Landing Stage lost its direct rail connection in the 1970s it was reopened in 1995 to take advantage of an expanding cruise market in the UK. Vry close to London, it is 25 miles by road from central London, seven miles from junction 31 of the M25 or 46 minutes by rail from London to Tilbury Town (where a taxi is now needed to reach the cruise terminal). The cruise lines also operate dedicated coach services on arrival and departure days. In 2011, the London Cruise Terminal at Tilbury saw forty-six cruise calls, thirty-seven of which were by Cruise & Maritime Voyages’ Marco Polo (34) and Ocean Countess (three). Apart from Cruise & Maritime, Holland America Line has for some time been using Tilbury as a base for its Prinsendam, with four calls between July and September, while single calls were made as well by Classic International’s Princess Daphne and visiting German cruise ships. Last week, we suggested that Stern’s Guide could do with a European editor or correspondent if it wanted to sell more copies on this side of the Atlantic (and why not, it’s a very useful guide?). But there is one thing we forgot to mention, and that is that Stern’s still lists Saga’s minimum age as 60, whereas they actually reduced it to 50 more than fifteen years ago (in 1995). Also, the minimum age on Saga’s Spirit of Adventure brand (which will soon be operating the Saga Paerl II as Quest for Adventure) is now 20.